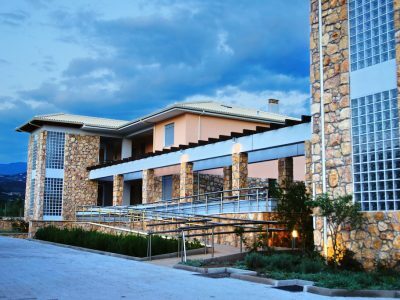 The CAVOS FOKIDOS hotel is located in a quiet, natural and romantic environment Chiliadou. In just 10 minutes (7 km) is the city of Nafpaktos with numerous options for dining and nightlife. 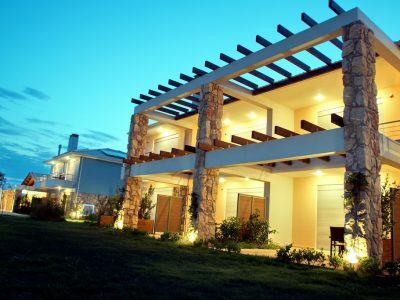 The area where the hotel is built combines serenity, relaxation and views of the sea of Corinth. The wonderful sandy beach in Chiliadou 2,5 km length is just 150 meters from the hotel. The unique pebble beach known as Parathalasso is 800 meters before the village of Monastiraki. Cavos Fokidos hotel has 12 comfortable apartments (32 beds) with a host of amenities to meet the requirements of the most discerning visitors to holiday in beautiful Hiliadou.